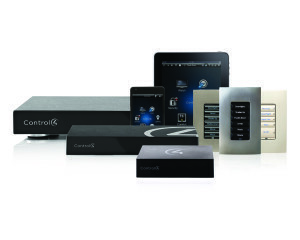 Control4 technology gives you the power to personalize your home or business with the home automation system of your dreams—all within your budget. Why heat or cool your house all day if no one is there? That wastes resources and money. Automatically or remotely adjust your thermostat so that your home is just the right temperature, all the time. Control your entire system remotely with your smartphone or tablet using one app. This includes opening and locking doors, checking surveillance cameras, arming or disarming security systems, controlling appliances, and many other options. Automatically turning off lights and devices when not in use conserves resources and saves you money. Sensors can turn on lights when you enter a room, and shut them off when the room is empty. Or you can have light gradually come on to wake you gently. You can also adjust your thermostat to suit your lifestyle. Even monitor and track how much power your various devices are using so you can better conserve. Our systems are remarkably versatile, allowing you to personalize nearly any feature. Imagine music coming on automatically as you enter a room, or having a photo message sent to you when your child enters the house after school. You can also create the right networking to ensure that a strong wireless signal reaches every corner of your home and provides the speed you need for streaming, gaming, or other uses. The options are nearly endless. Have you ever been away from home and had a sinking feeling that you left the oven on? Or left a door unlocked? What if you have a water leak while on vacation? With a Control4 system, you don’t have to worry. Simply use a smartphone, tablet, or PC to check cameras or systems, or have updates or warnings sent to you immediately should motion sensors or other detection tools go off. You can also open and close a garage door to accept a delivery, get live updates on the state of your system, or check security cameras, all from afar. This provides you with peace of mind wherever you are. And, in case of emergency, your system alerts you and the proper authorities. 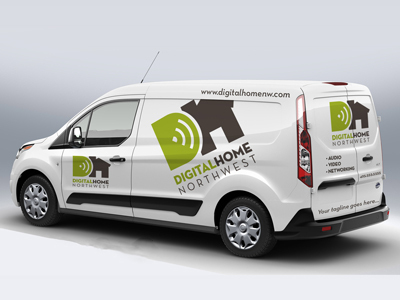 Along with long-term savings on your utility bills, you may also qualify for significant discounts on your home insurance policy by improving your home with a smart digital system. This also reduces maintenance costs by alerting you to potential problems before they become a crisis.